In proximity to Kiseljak Cu-Au porphyry and Draznja Pb-Zn mine. Several alteration centres typical of porphyry/epithermal systems identified. Anomalous Au, Pb and Cu returns from grab samples. 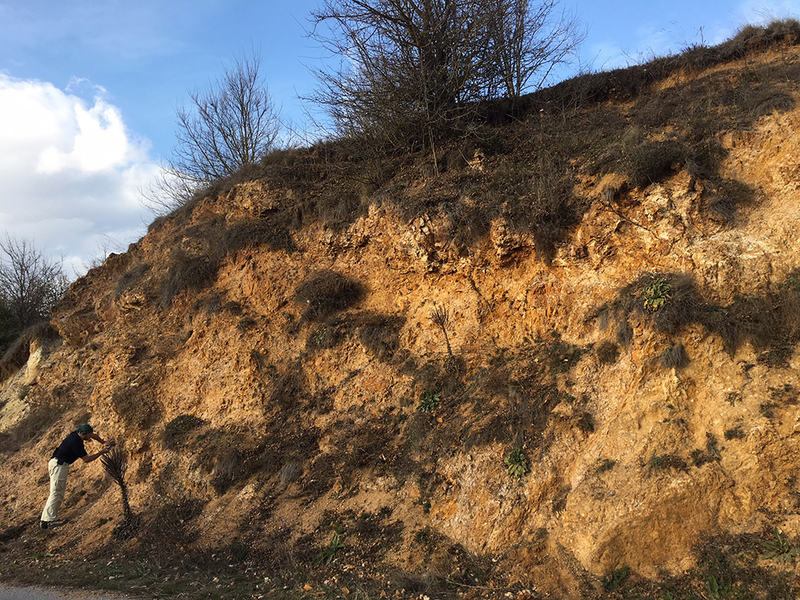 The Drazna Project is located along the Kosovo border in the southwestern portion of the prospective Oligocene Lece Magmatic Complex. Regionally the license area is almost completely hosted in the Internal Subzone of the Vardar Zone, enclosing small section of the Serbo-Macedonian Massif in the NE part of the property. In the license area, the Internal Vardar Subzone is composed entirely of Tertiary volcano-sedimentary rocks which developed at the contact between the Lower Cretaceous flysh sediments of the Central Vardar Subzone and the high-grade metamorphic gneisses and amphibolites of the Serbo-Macedonian (Dardanian) Massif. The license is bounded to the east by the Tulare ore field which includes the Kiseljak (459 Mt at 0.22 % Cu and 0.2 g/t Au ) and Yellow Creek (88 Mt at 0.30 % Cu and 0.3 g/t Au) deposits; west by the Draznja Pb-Zn mine (4.7 Mt @ 2.44% Pb, 4.29% Zn, 45 g/t Ag) license; and south by the Bresalci gold project. 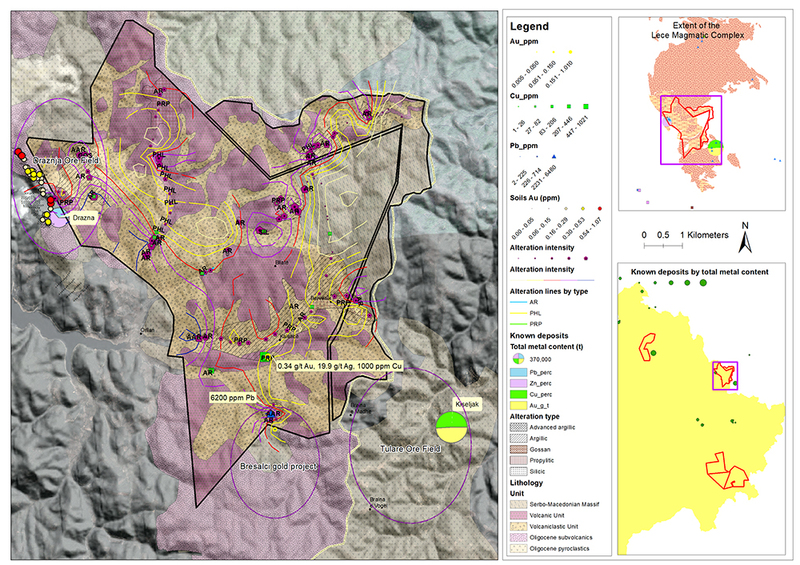 Field mapping has confirmed the presence of several zones of intense argillic alteration progressing to advanced argillic alteration in the northwest of the license (with associated anomalous Au) and associated phyllic alteration in zones in the north central part of the project. 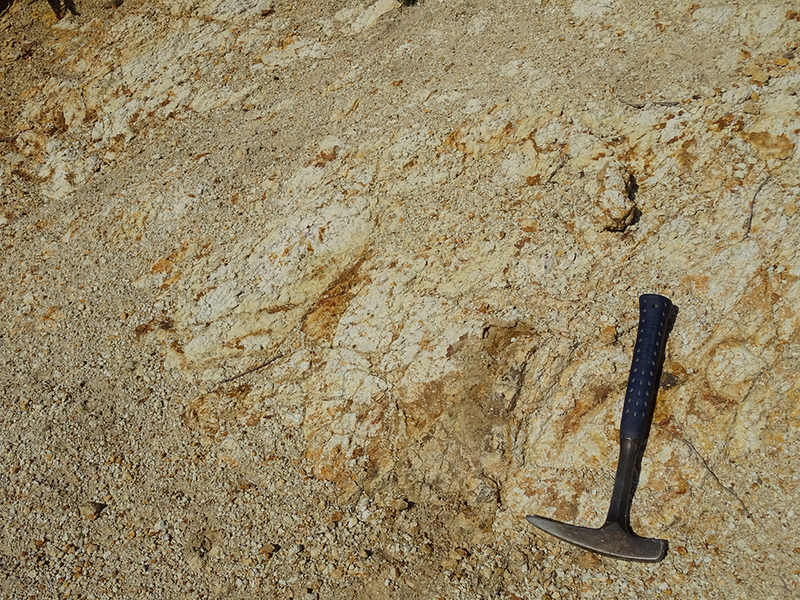 In addition, samples from hydrothermal breccia’s and quartz-calcite Fe-oxide vein stockworks have returned anomalous Au and base metals in the southern portion of the project possibly reflecting potential for low-sulphidation deposits similar to mineralisation in the Bresalci project and western part of the Tulare Ore field. 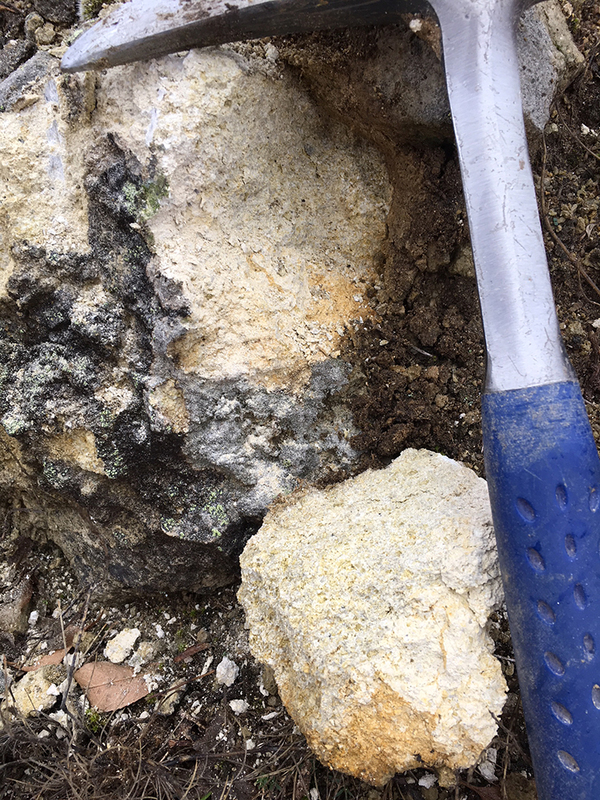 The project is prospective for a variety of porphyry/epithermal related mineralisation.